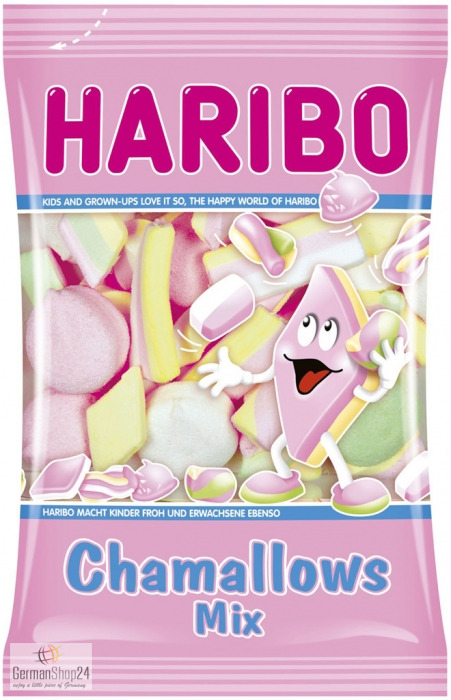 Colorful marshmallow blend of the Haribo Chamallows classics. Only the best comes into the bag of the Haribo Chamallow Mix. 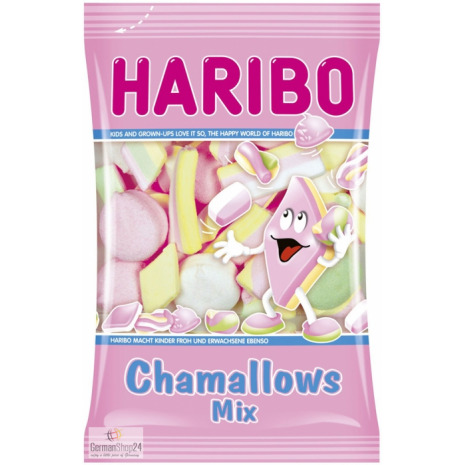 Because this colorful blend combines the Haribo Chamallows classics and guarantees diversified variety for all lovers of the sweet and soft marshmallow candy pieces. Made in Belgium. Glucose syrup, sugar, dextrose, water, humectant: sorbitol, gelatin, flavoring, colors: cochineal extract, curcumin, copper complexes of the chlorophyllins. Glukosesirup, Zucker, Dextrose, Wasser, Feuchthaltemittel: Sorbit, Gelatine, Aroma, Farbstoffe: Echtes Karmin, Kurkumin, Kupferkomplexe der Chlorophylline.